“John Quincy Adams: A Personal History of an Independent Man” by Marie B. Hecht was published in 1972. Her biography of John Quincy Adams seems to be the most substantial work on the sixth president following Samuel Flagg Bemis’s two-volume series which was completed in the 1950s. Hecht, who died in 2007, was the author of six other books including works on Aaron Burr and Alexander Hamilton. Marie Hecht’s biography of John Quincy Adams is the oldest and lengthiest of the four biographies of our sixth president in my library (which, sadly, does not yet include Bemis’s series). As I anticipated, this book reminded me of Ralph Ketcham’s biography of James Madison and Harry Ammon’s on James Monroe. They were all published within a year of each other, and they each proved to be thorough, workmanlike biographies of early American presidents. In Hecht’s biography, she clearly shows her fondness for John Quincy Adams and his long (though sometimes unpopular) legacy of public service. But this is no hagiography, for as much as Hecht touts Adams as a successful diplomat, a committed abolitionist and a brilliant thinker, she does not hesitate to also portray him as an oldest son raised for greatness – constantly seeking his parents’ approval for his deeds – who was never quite able to “fit in” socially with his peers. She describes an often crotchety, opinionated and stubborn man who worked diligently in the trenches and, once elected to the nation’s highest office, suffered a relatively unpopular presidency due to a combination of “wrong place, wrong time” and an unwillingness to forcefully use presidential power to further his causes. But he did not simply disappear post-presidency; instead, he became an indefatigable gadfly and constant force in Congress until his death (in the US Capitol building itself). John Quincy Adams’s life is thoroughly described from beginning to end and Hecht outlines his multitude of personal and professional successes -as well as his notable failures. But as seems to be the style of 1970s-era presidential biographies, Hecht never connects the dots. While carefully laying key facts of his life on the table, she leaves it to the reader to sort through the chronology and draw meaningful conclusions. The only big-picture theme one takes from this biography (other than the author’s subtly pointing out his inherent greatness) is that of John Quincy Adams’s unfailing devotion to his country, at significant expense to his relationship with his own political party. The biography was generally well-paced and only seemed to slow meaningfully during his years as Monroe’s Secretary of State. Somewhat surprising to me (given what I had read in biographies of his father) was Hecht’s description of Abigail Adams as an overbearing, overprotective and meddlesome mother, and of Louisa Catherine Adams (John Quincy’s wife) as a fragile, constantly ill and rather unimpressive individual. Overall, Marie Hecht’s “John Quincy Adams” provides a thorough introduction to the sixth president. 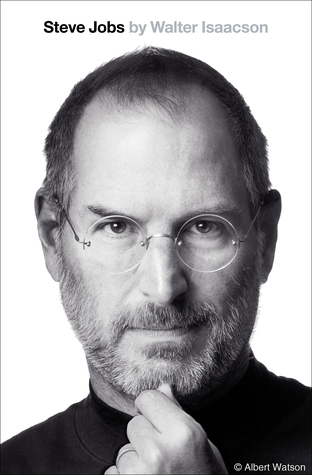 This biography humanized him nicely (though not quite in the fashion of a character analysis by Joseph Ellis) and methodically summarized his numerous accomplishments. 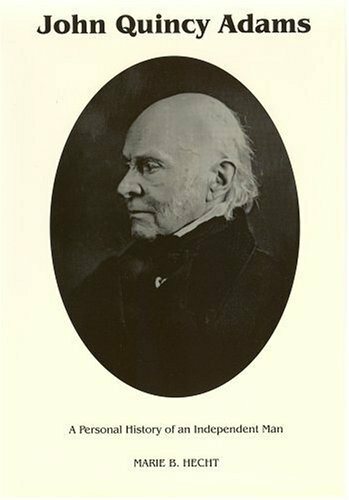 Although quite readable, it is not a light, fanciful biography and does not make an ideal “beach book.” Instead, it is a workmanlike, informative and interesting review and assessment of John Quincy Adams’s rather unique and interesting life. Thanks to Practically Historical and The Presidents Project for the reblogs!